Maggie Collins joined Colliers International in 2016 and serves as the Sr. Client Services Specialist for the Multi-Family Advisory Group. In this capacity, Ms. Collins is responsible for presentation and document preparation, marketing and proposal production, project research, sale comps, database tracking, and correspondence monitoring. Prior to joining Colliers, Ms. Collins served as brokerage coordinator at Boston Realty Advisors where she was responsible for coordination of brokerage activities & marketing distribution for the Multi-Family Advisory Group. Ms. Collins also served as senior membership & events coordinator at the Greater Boston Real Estate Board, focusing on membership & events coordination for two commercial real estate associations. Christopher Sower joined Colliers International in 2016 and serves as the Senior Vice President for the Multi-Family Advisory Group. In this capacity, Mr. Sower is dedicated to the creation and execution of acquisition and disposition strategies, and joint venture opportunities in middle-market multi-family investments on behalf of clients throughout the Northeast. Prior to joining Colliers, Mr. Sower served as Managing Director & Senior Partner at Boston Realty Advisors, where he focused on the valuation, marketing, and sale of multi-housing properties throughout the Northeast. Mr. Sower has also held positions at Cushman & Wakefield, CB Richard Ellis | New England, and Boardwalk Properties. Jonathan Bryant serves as an Assistant Vice President for the Multi-Family Investment Group. In this capacity, Mr. Bryant is responsible for the execution of acquisition, disposition, and joint venture investment strategies in the Greater Boston area. 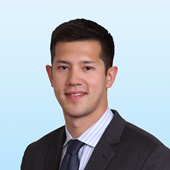 Prior to joining Colliers International, Mr. Bryant served as analyst at Boston Realty Advisors where he assisted the Capital Markets team with financial analysis, valuation, and coordination of due diligence materials. Mr. Bryant has been involved in over 60 transactions with an aggregate value in excess of $1 Billion.